Uniform, early-flowering plants whose white petals deepen to rose as the flowers mature. 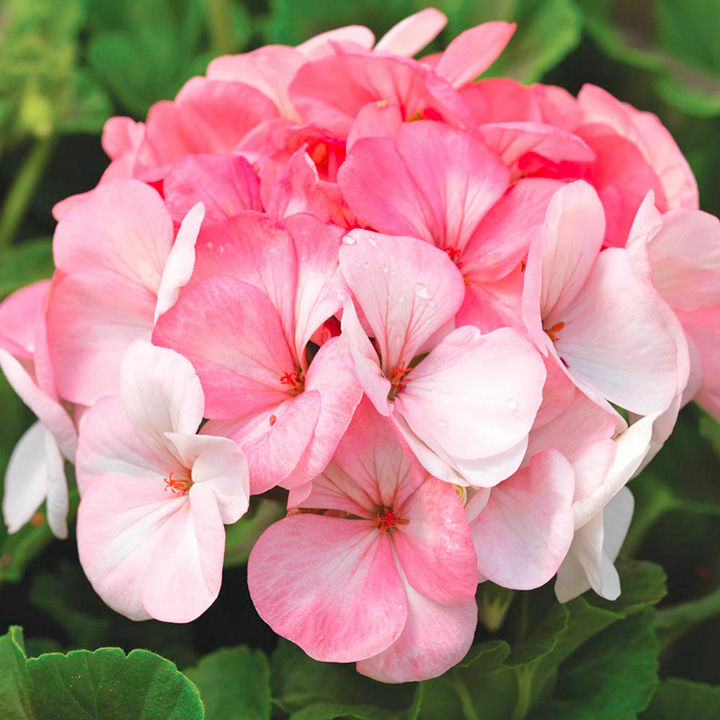 The large blooms are set on short, sturdy stems, over rich green foliage. Flowers June onwards to the autumn frosts. Height 25-45cm (10-18”). HHA/HHP - Half hardy annual/Half hardy perennial. Ideal for beds and borders, patio pots and containers. Prefers full sun. Always reliable in good or bad weather and drought resistant. A great choice for bedding or equally at home in baskets or containers.